Every day I roam around Melbourne, I always spot amazing street art covered on the side walls of cafes, and in alley ways. Some are just random street art, others are done by professionals. 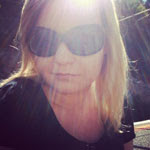 I've decided that everyone should be able to see it, so it will be a regular feature on this blog. 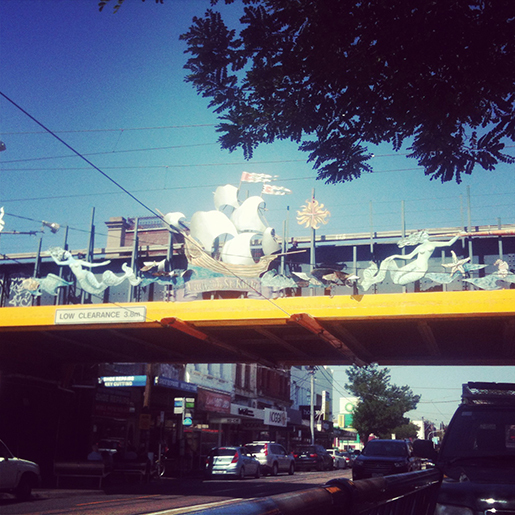 The other day, I went to Balaclava to visit a friend. 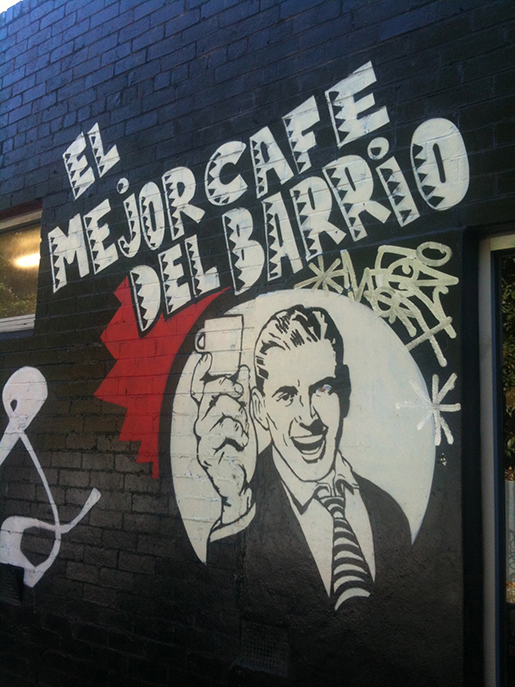 We met at Las Chicas which is right by Balaclava train station. While sitting in their outside area I noticed some neat artwork on the bridge near us. It reminded me very much of the artwork found in Camden in London. 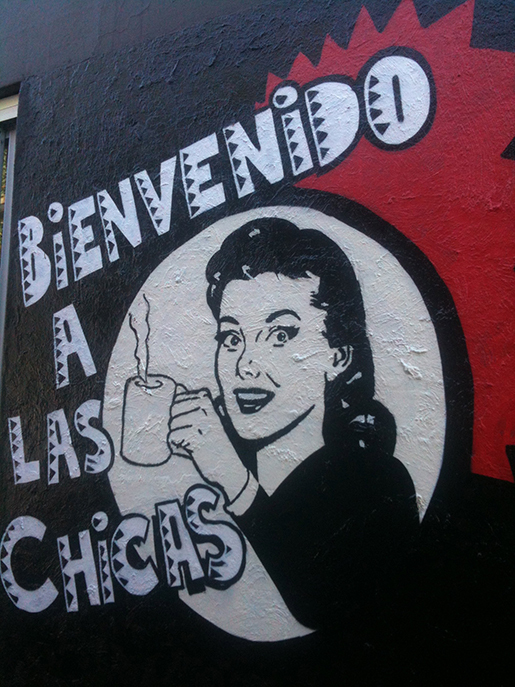 On the side walls of the cae, Las Chicas had professional art work adorning it. It was pretty funky. I highly recommend you go and check it out. The staff are friendly and the food and drinks are amazing.